Innovation in the public sector is always a topic of discussion wrought with both hyperbole and striking contradictions. Especially engaging is when the dialogue couples the inherent inefficiencies woven into the DNA of government, and the tenets of Moore’s law—an original observation that the number of transistors in a dense integrated circuit doubles approximately every two years—as it relates to information technology. If ever a marriage foreshadowed the difficulty forged by opposites attracting, the union of government and information technology (IT) is an ever-advising case study. Yet, even with the demonstrable differences in the industries, the potential is great for fundamental change in how government operates via the application of advances in IT. 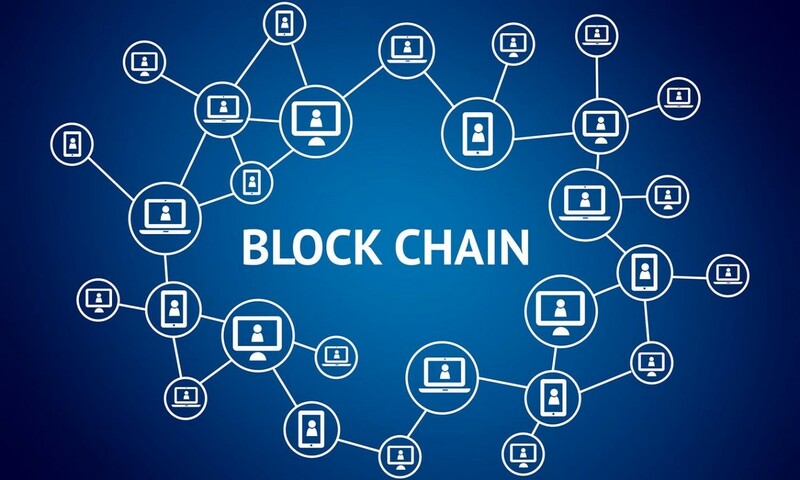 One such innovation—blockchain—is piquing the interests of academics and practitioners alike as a potentially disruptive technology. As instructive as the theory of disruptive innovation has been for the private sector to analyze innovation driven growth, the public sector is bereft of such diagnostic tools. Developed by Clayton M. Christensen, the Kim B. Clark Professor of Business Administration at Harvard Business School, in 1995, the theory of disruption provides a basis for understanding how a smaller, less resourced company challenges a well-established, incumbent business. In a 2015 Harvard Business Review article, Professor Christensen, Michael Raynor and Rory McDonald note over the previous twenty years the theory’s central tenants have been commonly misconstrued and misused, with the term “disruptive innovation” often invoked to designate any scenario in which an industry experiences turbulence and incumbents falter. Even with these less-than-rigorous applications of the theory, its use assessing blockchain would be instructive for both the private and public sectors. 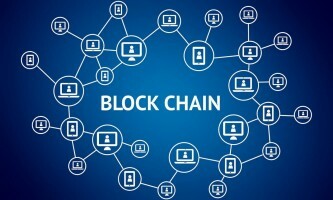 Acknowledging the potential for disruption to well worn technical services and practices, a newly released brief, Blockchain in State Government, by the National Association of State Chief Information Officers (NASCIO), is engaging its membership, and the broader vendor community, in a discussion of the innovative and disruptive impact of blockchain technology. The brief provides a high level overview of interest in blockchain, with 63 percent of respondents in an investigative mode and 5 percent having formally adopted blockchain in support of specific government services. With this first effort to collect and assess impacts of blockchain across states, NASCIO acknowledges the prospective effect the technology possesses to modernize the numerous services delivered by government agencies at the state level. In a similar vein, with a focus on transformation of existing service-delivery models, David Zahurchuk, Global Industry Research Leader for the IBM Institute for Business, conducted a survey of public sector leaders. The survey suggests governments will harness blockchain technologies in four fundamental ways: reengineering traditional citizen services, facilitating secure audit trails, establishing secure and reliable identity management, and improving contract management processes. In the state government arena, Delaware and Illinois have emerged as leaders. In Delaware, a collaborative initiative is underway, affording businesses and agencies the use of a distributed ledger to store documents in various locations, safeguarding security and providing automated access by all stakeholders. A similar effort in Illinois, bringing multiple entities together, is streamlining the regulatory environment, creating the opportunity for blockchain technology firms to conduct business in the state. At the federal level, the U.S. Postal Service and the Department of Homeland Security have progressed in assessing the value of blockchain technology. The USPS Office, focusing on financial services, is exploring the use of blockchain technology to expand the capability of financial product offerings, such as international money transfers and money orders. The U.S. Department of Homeland Security is analyzing the use of blockchain technology for cameras and other devices at ports of entry into the United States. With the promise of transformation blockchain technology holds for public sector, an innovation theory specific to the disruption of government service delivery would be timely. Nearly 25 years ago, the spark of government reinvention ignited, driven by the success of the 1992 book Reinventing Government: How the Entrepreneurial Spirit Is Transforming the Public Sector by Ted Gaebler and David Osborne. Indeed, the ideas posited by Gaebler and Osborne focused on the bureaucratic and change resistant culture which prevented public sector innovation. The authors contended the public sector workforce could be as innovative as their private-sector counterparts. For Gaebler and Osborne, a reinvented government enables competition, develops and measures outcomes rather than inputs or processes, and ensures accountability. To reinvent government requires innovation — quite possibly disruptive innovation. That effort may require the question asked, “What can governments do effectively?” Moreover, how can the use of innovative technologies accomplish meaningful things in the public sector? For this, however, we need something we do not have: a theory of disruptive innovation in government. As noted in the 2015 Harvard Business Review article, disruption theory does not explain all aspects of business innovation or success. The authors suggest an ambitious goal is the integration of all elements into comprehensive theory of business success — until that time arrives, without such a theory, the public sector will have to look at potential disruption of blockchain in the private markets for clues as to governmental impacts.